If you’ve ever felt like there’s gotta be a way to generate more sales and connect with more customers online... you’d be right. If you’ve ever felt like there’s gotta be a way to generate more sales and connect with more customers online… you’d be right. FOR A VERY LIMITED TIME (and to help as many people as possible), I’m offering one free training video and workbook per day. Watch at your convenience any time of day between January 22nd – January 24th. But don’t delay because the videos will be taken down soon! I’m an ordinary woman… from a small town. When it comes to business, I’m an unlikely success story. 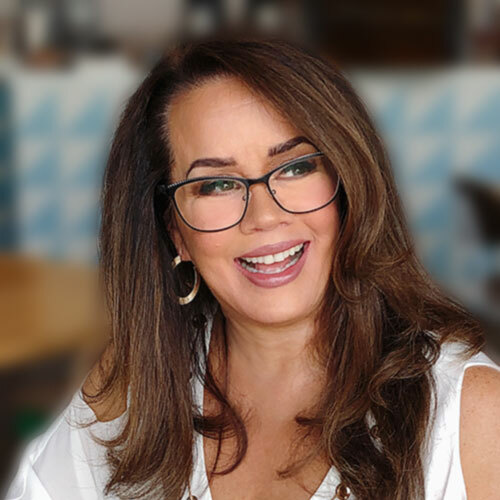 I bootstrapped my way to create one the largest and most decorated business network organizations in North America, eWomenNetwork, a one-stop complete success system for entrepreneurs. It’s a multimillion-dollar enterprise with over 500,000 women connected through 118 chapters spread across North America. I am featured in Chicken Soup for the Entrepreneur’s Soul and have four other #1 bestsellers. I’ve produced a movie,The Glow Project, and because of it, I rang the NASDAQ bell and had my company’s logo featured in Times Square. (Such a cool moment!) And most recently have been the featured life-transformation expert on the Emmy Award winning, syndicated daytime show, The Doctors. I’ve helped tens of thousands of women (yes, and even men, too) get clarity of what’s important, gain focus on what needs to be done to get there, develop the blueprint plan to ensure success and support them along the way. I am an ordinary woman… who lives an extraordinary life. And I can help you live one too.